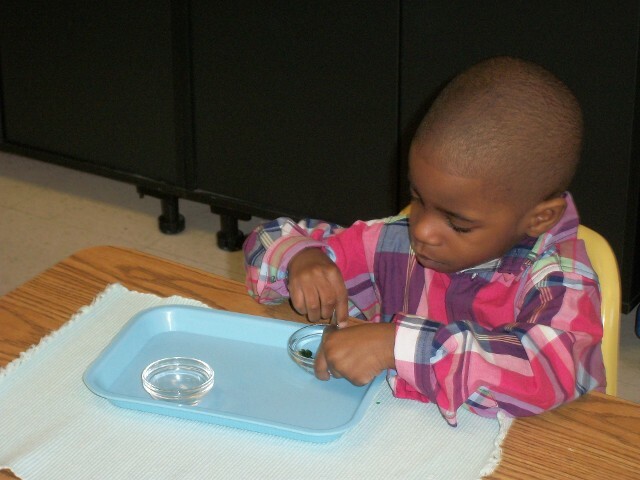 Our preschool program encourages your child to explore and develop in areas of physical, mental, and social growth. It has a solid focus on real-world experience and applications. 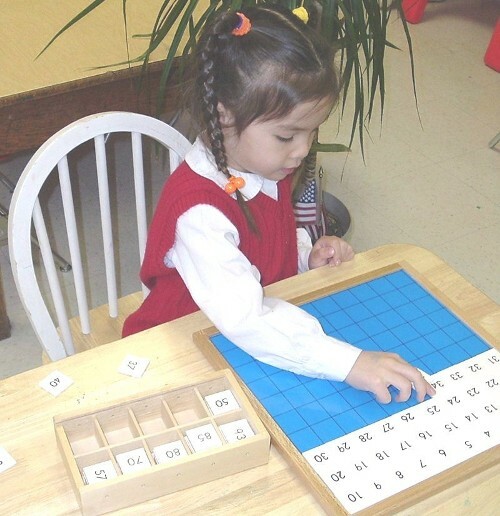 Develop memory, attention span, concentration, coordination, and motor control. Skills taught are used in everyday life such as buttoning, zipping, pouring, tying, spooning, sifting, stringing, sorting, snapping, cleaning, etc. Anything that involves the five senses. 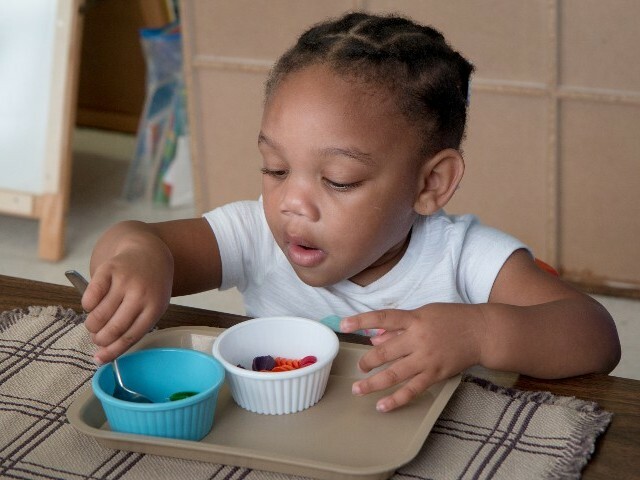 Some skills associated with Sensorial materials are visual perception, depth, color, height, width, taste, touch, and fine motor control. 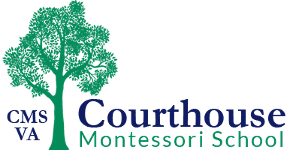 A variety of materials are used to develop these senses such as knobbed cylinders, rough and smooth boards, variation in texture materials, etc. A broad variety of shapes from a square to a rhombus to various types of triangles such as a right angle triangle to an isosceles triangle are also used. Children are introduced to beginning, middle, and ending sounds. Sounding out three letter words; then moving into spelling and reading. 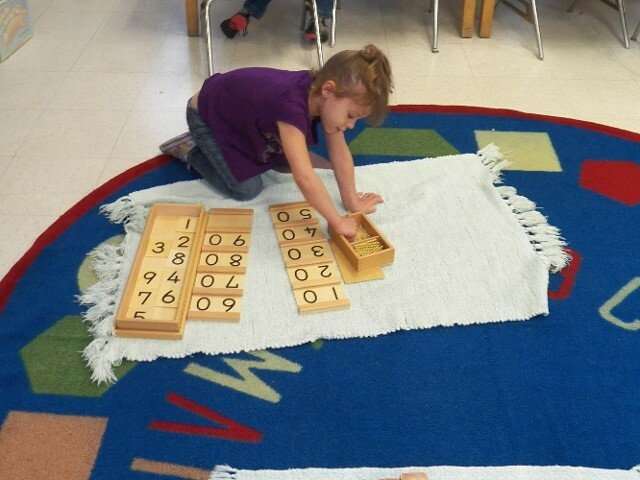 Includes counting, number, and quantity recognition. After progressing with these concepts, students move into the four operations of addition, subtraction, multiplication, and division. Includes subjects such as plants, animals, weather, continents, planets, etc. Includes self, manners, families, school, neighborhood, community helpers, etc. Children learn basic operations of a variety of programs. 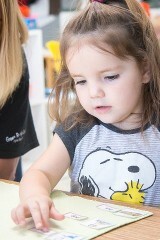 Concepts taught include counting, colors, greetings/farewells, clothing, parts of the body, food, etc. Explored daily by the Montessori lead teacher and assistants. A structured physical education class is conducted twice a week. Optional classes include karate (minimum age, 3 years), dance (minimum age, 3 years), and piano (minimum age, 5 years).